When I found out I was pregnant with my son Roo I was ecstatic. One of the things I was interested in was the birth process! You can learn more about the hypnobirthing technique like I did. I did a lot of shopping for baby gear before my baby shower and I ended up with a ton of baby items I absolutely didn't need, and I used many of them once if ever. When I found out I was expecting again I had a good idea of what things I would not need. I am going to share a list of baby items you really don't need to help you save money when you are shopping for a baby shower or your own little bundle of joy. 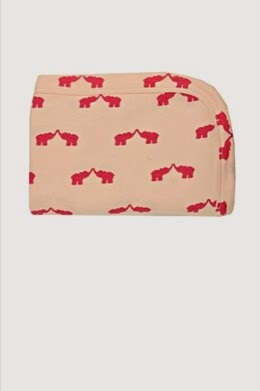 A baby wipe warmer- I received a baby wipe warmer as a shower gift. I thought what a cool idea and couldn't wait to set it up I envisioned my son being blissful when a perfectly warm wipe touched his skin...Then he arrived and I found I was never changing a diaper in the same place. I became a master of changing diapers in any location. The pads in the warmer dried out super fast and it mostly sat around using electricity. Save your money on this item, it is really not needed. Baby Blankets- I saw so many cute blankets that I couldn't resist buying about a dozen for Roo. Then I had a baby shower and received 9 handmade blankets and 10 adorable mass produced blankets. We had so many baby blankets that I ended up giving 5 away right off the bat. We had so many blankets in the end that my son only used a few of them once or twice. We didn't need to buy any blankets for Harper as we had so many and friends and family have offered her handmade blankets also. Save your money, don't buy any blankets until after your baby shower. Really you need no more than 6 blankets in my opinion. Toys that are aimed at newborns- Let's face it, we can't resist buying some of this baby stuff because it is cute! Toys are no exception. With Roo he had so many toys at birth that it was crazy. People that aren't familiar with babies will buy them toys at birth (or so it seems) then act very disappointed when baby isn't playing with them right away. If you need to buy toys stick with teethers, rattles and similar items. You are better off to buy toys for future play. Think the 3-6 month age range. Clothes from the previous season- I have a well meaning relative that works retail. She buys up all of the kids clothes she can for my family at prices as low as $1 per piece. This always makes me feel bad! She might bring 20 items to us from the previous season. 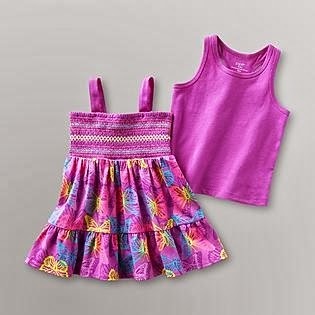 My infant daughter cannot wear a 3-6 month tank top and short set when it is January. Before she could wear it she will have outgrown it and that is a waste of money from the well meaning loved one. If you are going to buy off season clothes, think how big will the child be when it is spring? And buy a bigger size than what the child is currently wearing. 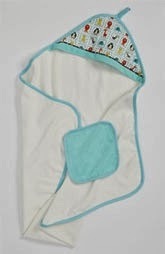 Infant towels- these are cute, who can resist tiny little towels?! But really they are so thin and flimsy they are not super effective for drying a baby. You can use your bath towels on baby, it will be okay! Tummy Time Mats- These are cute and look fun too, but you can save at least $30 by not getting one. Put one of the lovely baby blankets you have to use. Offer baby a few of those toys you couldn't resist or were given as a gift. A rattle, a large inflatable ball or a child safe mirror will do the trick of engaging the child while he or she is getting tummy time. 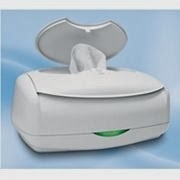 Pacifier Wipes- You think you are going to use these. You have good intentions. Then you realize how busy you are, you forget about them. These are a novel idea but in my opinion, they are not worth the money. Diaper Genie- I am sorry the idea of a huge container of soiled diapers just grosses me out. Plus, this is just silly! Just throw the diapers away with your garbage and save your money. The refills on these are too expensive anyhow. Baby Powder- this smells nice, don't get me wrong, but my pediatrician told me not to use it, it is like rubbing sandpaper on delicate skin and can cause breathing problems if inhaled. He said frequent changes and use of diaper ointment when needed are better options for baby. Baby Shoes- my daughter is 6 weeks old. She has 8 pairs of shoes for the 0-3 month size. She has at least 3 pairs of each size of shoe until she is about 18 months old... don't get caught up in this style game! One pair, maybe 2 if you can't resist of each size is more than enough. Shoes are really unneeded considering baby cannot walk. 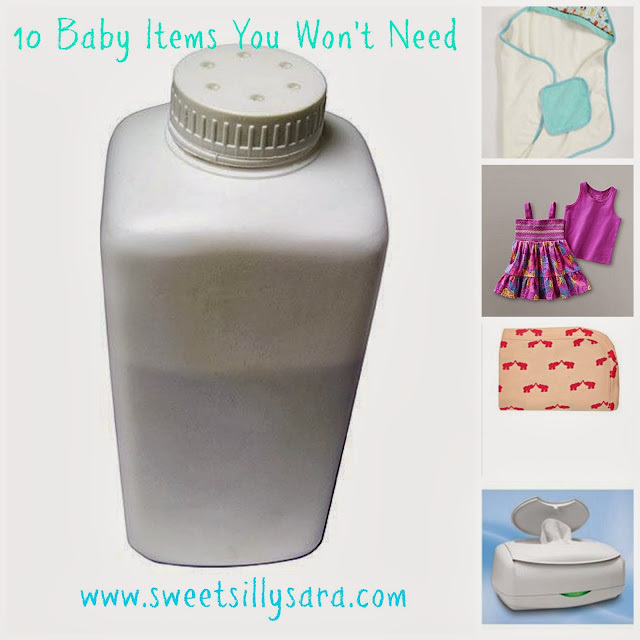 I hope this list helps you save money on items for baby. I would love to hear from you, what items did you have that you found to be completely unnecessary? You do not need a diaper Genie, the plastic holds the smell and the yucky product comes out looking like a string of sausages. I did not find diaper pails that necessary. I think that wipe warmers are a waste of money. I liked having a diaper genie! Sounds strange, but I bought all kinds of safety products that I didnt need or use for when baby became mobile. Also, "toys". Babies don't need toys. They need lots of human interaction. I was just reading your blog here, and it made me giggle, because except for the wipes warmer, these are the same things I didn't need when my kids were babies some 20 plus years ago. So true. I think so many things are marketed that you "need" them, but you really don't. Just stick to the basics. What a great list, and I have to say that I agree with just about every item. My son had a ton of blankets too, but we used all of them. He loved to be swaddled, so he used them constantly (2 at a time too), but they would get dirty, so we'd change them at least every day. We also liked the baby towels. In fact my son, who is now 2, still uses his. It's amazing the things out there for babies that you really don't need. NEWBORN CLOTHES ARE A WASTE OF MONEY. THEY GROW OUT OF THEM IN LIKE A WEEK. THOSE SETS U SEE IN ALL THE STORES OF TOWELS & STUFF FOR BABIES ARE SO THIN U WASH THEM & THEY ARE DUST RAGS. I agree that baby powder is not necessary. I know they used it a long time ago, but it is not safe now. Nice job! My babies are 26 and 27 but your list seems right on to me. Things I would add - anything newborn size - my babies were born wearing size 6 mo. I did like the shoes, but not too often. I completely agree with everything on your list! I would also say crib bedding sets are totally overpriced and unnecessary. You are never able to use the comforter that comes with it and I have also read you shouldn't even use the bumpers as babies can get stuck under them. Totally agreed EXCEPT the baby powder. Don't use it on baby. But, as a mom, life gets crazy. I'm telling you this sounds gross and weird but it WORKS. 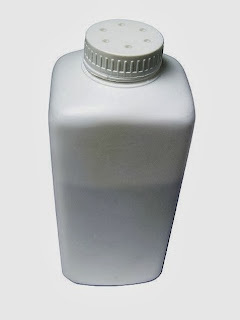 If you haven't been able to wash your hair and it gets a little greasy looking, just rub a little baby powder. Good as new. I'm serious! This is a great list. It is SOOO fun to buy newborn stuff, but seriously - other than milk they have so few needs! I also have a million tiny shoes that never got worn. My kids are all teenagers so I didn't even know half these products existed! I agree with everything on your list, there is so much you can spend on completely unnecessarily, the only new baby toy I though was great was a baby gym (do you even have those any more/call them that? Baby lies on the floor and this sort of frame goes over them with dangly bits for them to watch) - that was brilliant, though they also like to watch the washing machine (I guess that's only in the UK where we have a glass window on the front of the machine and you can see the clothes going round!) And shoe wise you just want something to keep their feet warm that doesn't fall off when you are half way round the shops! I agree with all of these except the wipe warmer. I didn't have one with my first daughter, but my second daughter does NOT like the feel of cold wipes on her bottom and so I feel like the wipe warmer has already paid off. You are absolutely right Thanks for sharing with Hearth and Soul blog hop.pining.